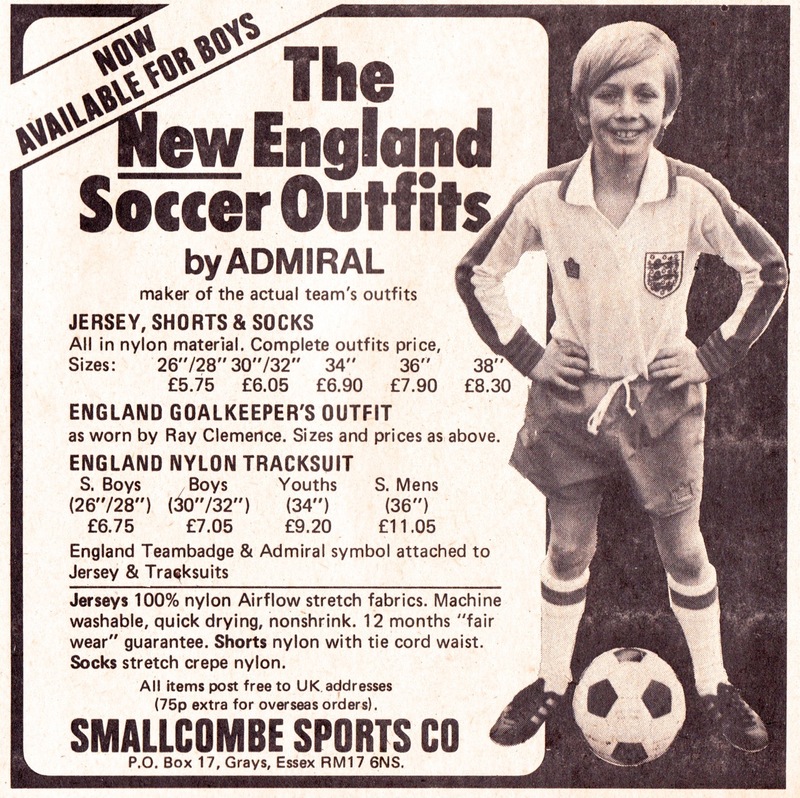 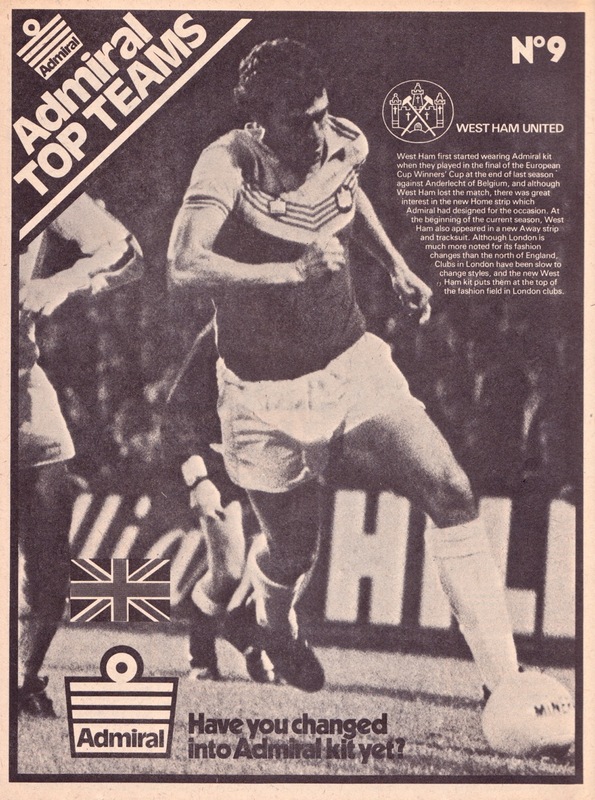 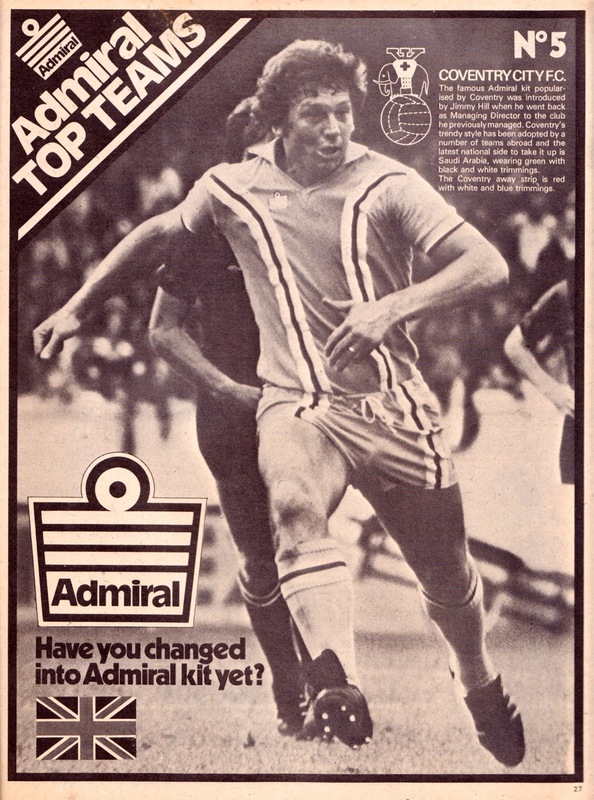 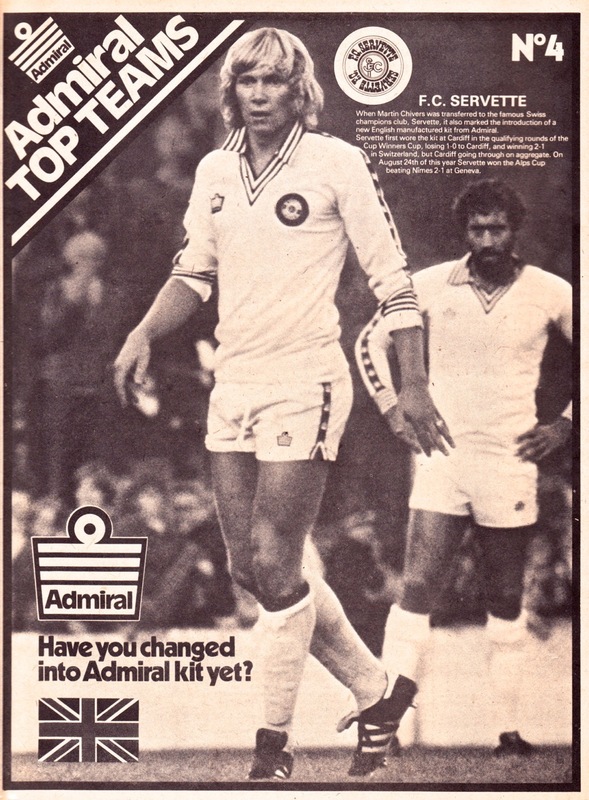 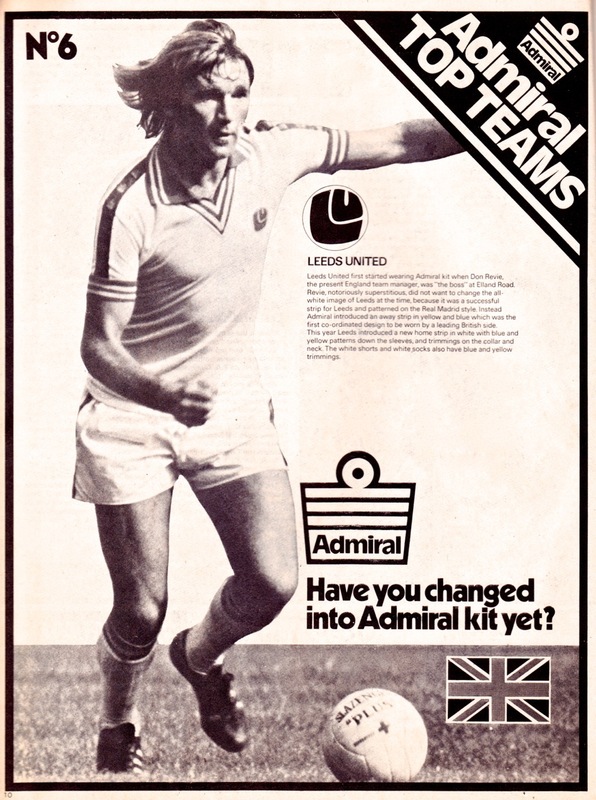 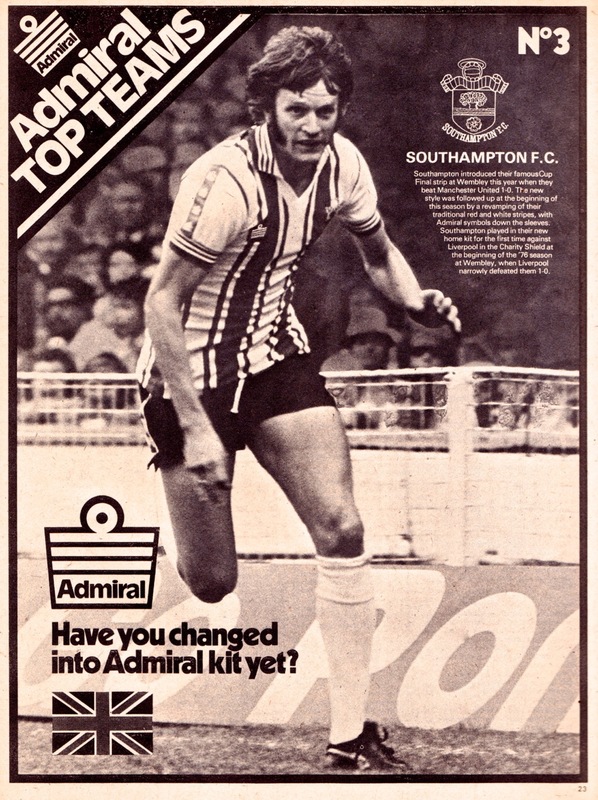 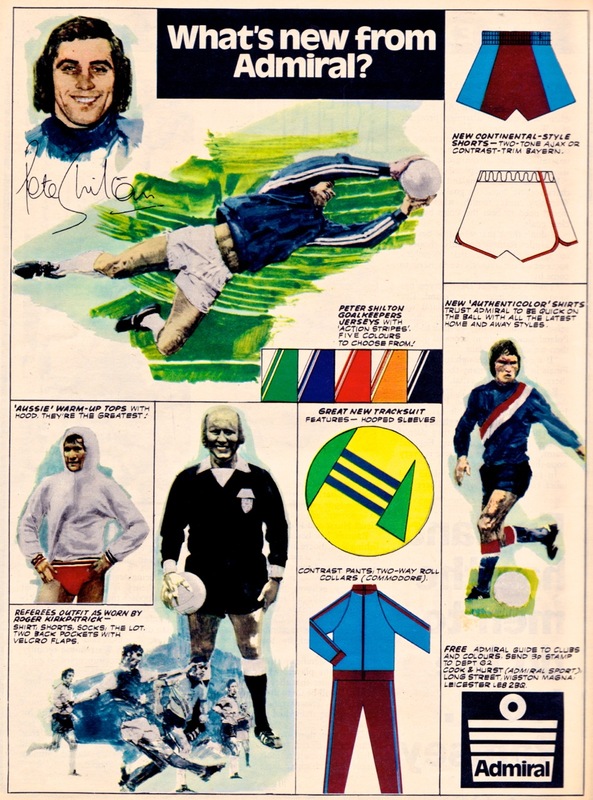 Our latest look back at retro sportswear marketing gathers together a collection of old adverts for Admiral, that most iconic of 1970s shirt manufacturers. 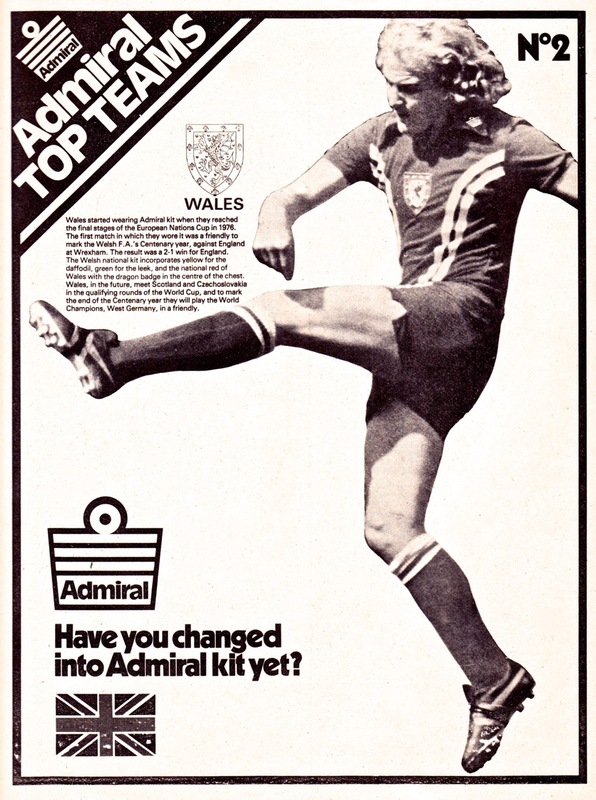 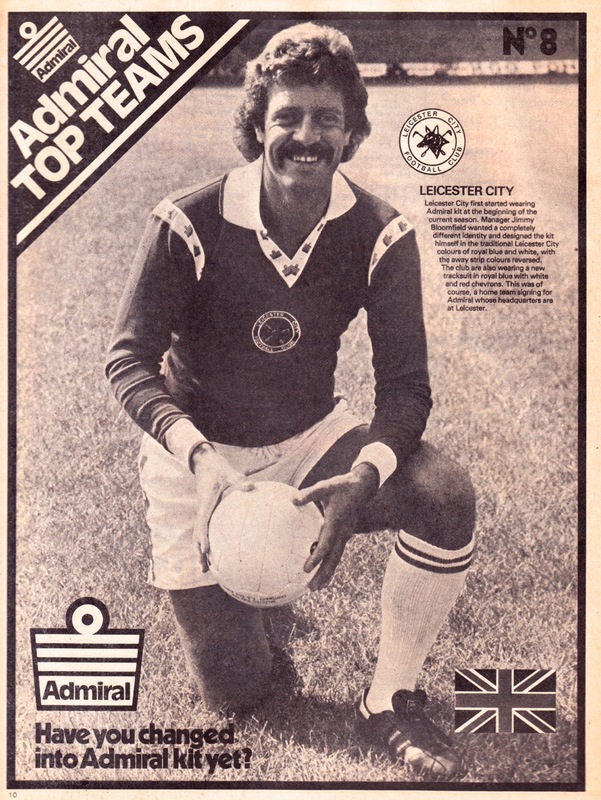 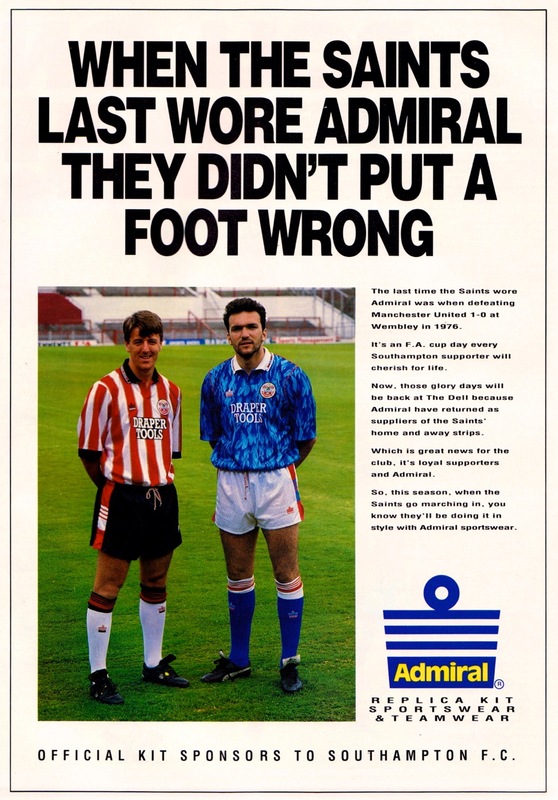 Admiral existed as a brand from 1914 but only started appearing on sportswear after England’s World Cup success of 1966. 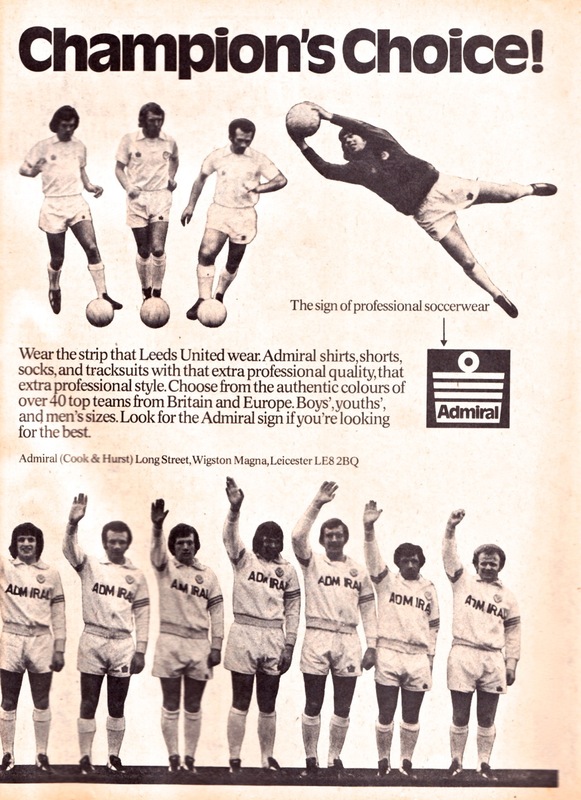 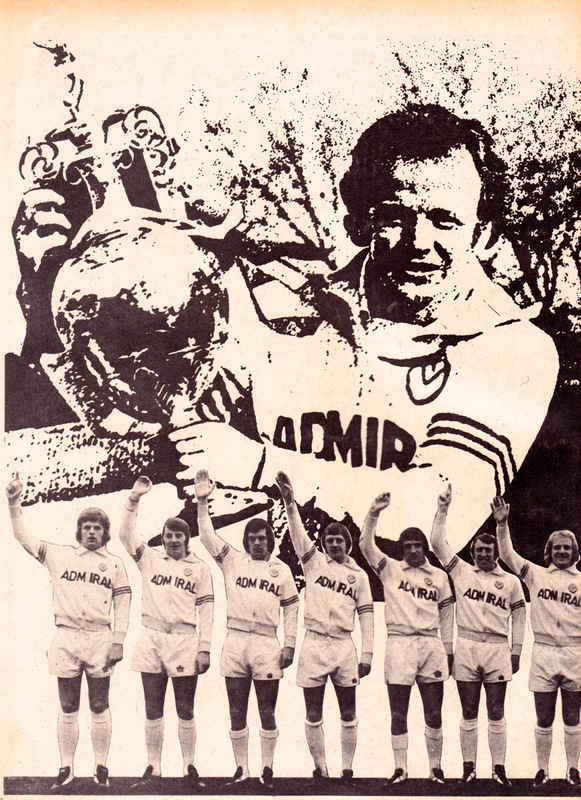 During the 1970s Admiral built a broad portfolio of clubs and it was never hard to spot one of their shirts, such was the very visible – and over the top to some – branding they adopted. 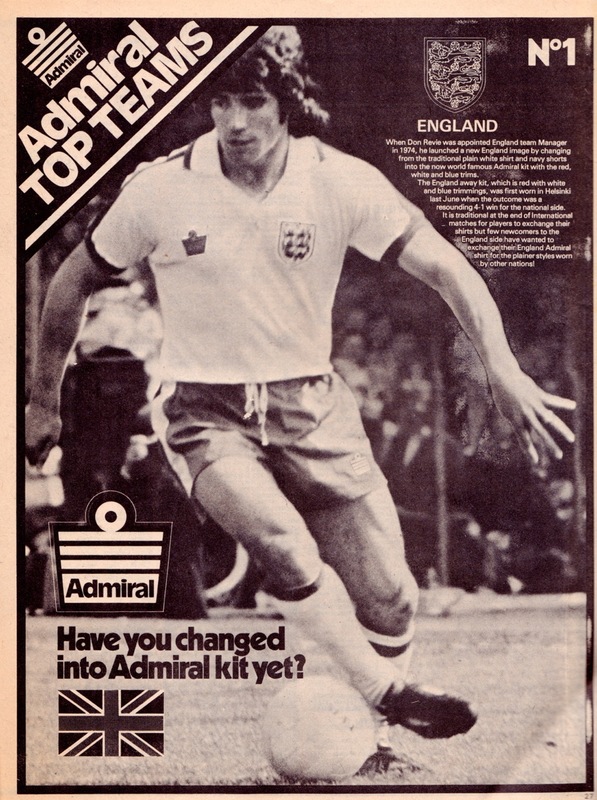 The deal they signed to supply England shirts in 1974 certainly produced one of the national team’s most recognisable jerseys and was the first to sport the manufacturer logo alongside the three lions badge. 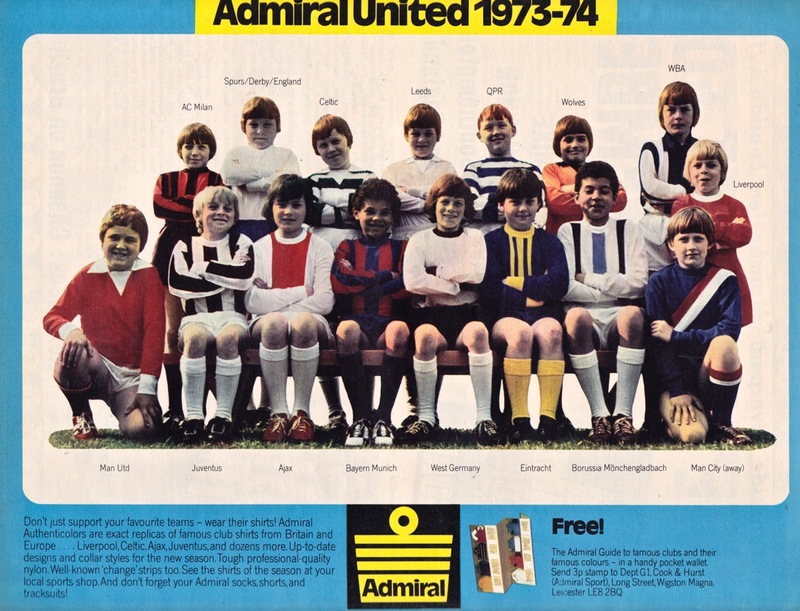 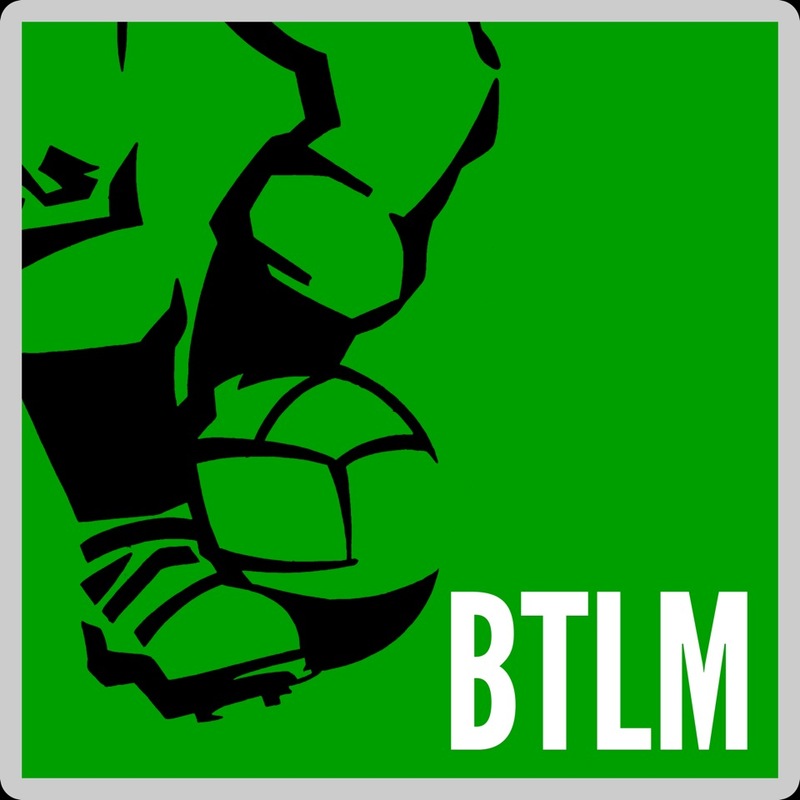 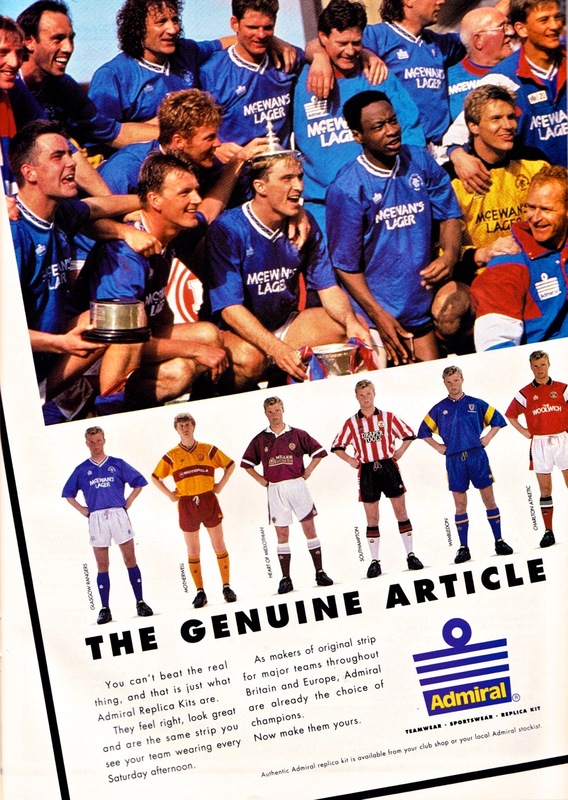 Admiral’s association with England continued to the 1982 World Cup though afterwards the company’s influence waned and by the early 1990s their stable was small: Rangers and Southampton represented their highest profile clubs and we have included ads promoting these associations. 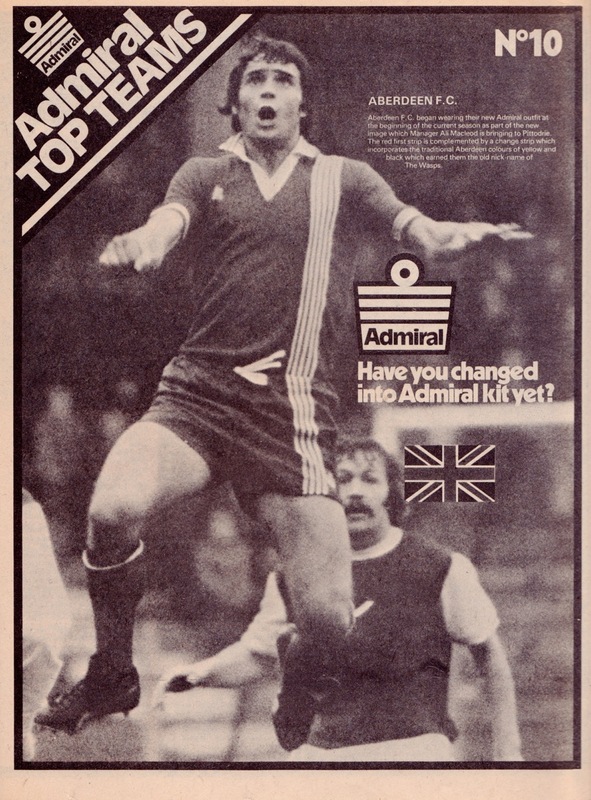 In recent years Admiral has sadly become more known for its involvement with cricket.